Premier Houseboats are pleased to present Kaipaa, a sea going Ice Breaker tug originally built on the river Siene in 1948, before being taken to Finland in 1973 and completely rebuilt. Kaipaa is unusual in that the engine room is intact and in full working order, but she still has plenty of accommodation space to live comfortably afloat. Kaipaa has two double cabins, and also two further cabins each with two single berths. She has a bathroom and a shower room, and two toilets. She also has a sauna room. There is a good sized mess room and galley on the upper levels, where you can also enjoy your surroundings by utilising the wheelhouse when not moving. The accommodation is fully insuulated throughout, and can be changed easily if more living space and less bedrooms are needed. One of the great things about Kaipaa is although there is plenty of accommodation, she is a working vessel so she still feels like a boat throughout, the decor is certainly a more traditional boat fit out. There is also room to extend the accommodation if needed. There is a large amount of outside space on differing levels to enjoy your surroundings wherever you may find yourself. For the rare chance to have a fully working tug, and be able to live comfortably on it, Kaipaa is a great opportunity. 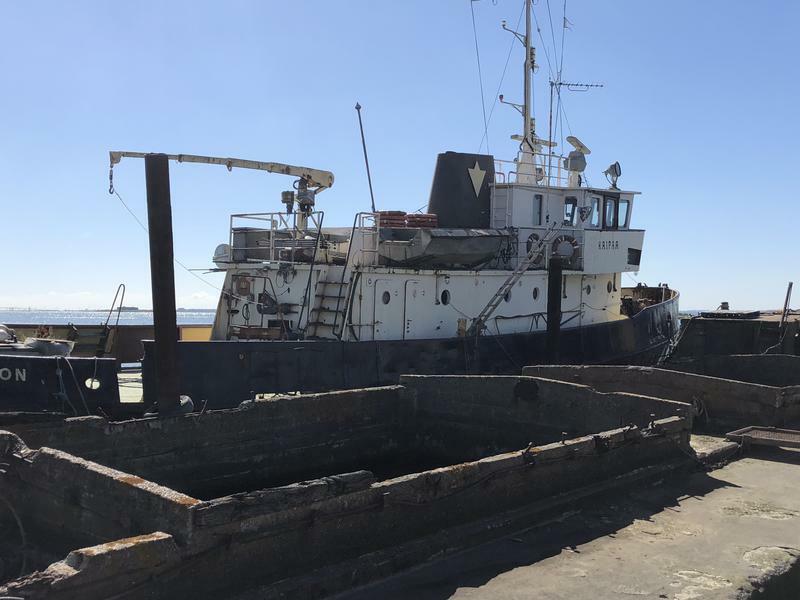 Vessel name: Kaipaa Vessel condition: Good Vessel type: Tug Year constructed: 1948 Year refitted: 1973 Berths: 8 Cabins: 4 Heads: 2 No. of engines: 1 Engine model: B & W Alpha Engine power: 500 Fuel type: Diesel Drive type: Other Length over all: 98' Beam: 25' Maximum draft: 12' Hull material: Steel Hull colour: black Disclaimer Premier Houseboats offers the details of this advert in good faith as it was presented by the seller or his representative but cannot guarantee or warrant the accuracy of this information nor warrant the condition of the described item within this advert. A buyer should instruct his agents, or his surveyors, to investigate such details as the buyer desires validated. The Item described within this advert is offered subject to prior sale, price change, or withdrawal without notice.